Wikipedia defines the UN’s Agenda 21 as “An action plan of the United Nations with regard to sustainable development”. Of course we immediately recognise the phrase “sustainable development” as weasel words, a catch-all term incorporating a host of modish obsessions. Much of the activity described as “sustainable” is clearly unsustainable – for example, the EU/UK energy policy which is doing such huge economic damage across the continent. A better phrase for the UN’s Agenda 21 might be “An action plan with regard to climate alarmism and carbon dioxide paranoia” – though it covers a wide range of other fashionable leftist issues as well. The odd thing is that most people have simply not heard of Agenda 21 – although local authorities across the country, and government institutions across the world, at national and local level, have signed up to it. There’s even a cultural dimension. Clearly then, Agenda 21 is a key part of the UN’s global governance pretensions, and it seeks to drive policies which generally speaking are pretty unpalatable to our party. Few political discussions are now taking place without some mention of whether Britain would be better served by removing itself from the EU. However our politicians and MSM seem strangely quiet about the real elephant in the room: UN – Agenda 21. Perhaps the reason for this, is that its influence has now spread so widely into all government institutions throughout the World, without revealing to citizens the true nature and intentions of the agenda. Indeed it has now been adopted by many local councils in Britain as Local Agenda 21. It was back in 1992 that the Earth Summit was held in Rio de Janeiro, and here 179 nations officially signed up to Agenda 21 — many more have followed since. Maurice Strong has been the driving force behind the imposition of Agenda 21, and was also a member of the UN’s Commission on Global Governance. Below are several quotes by Maurice Strong that I feel make scary reading. Agenda 21 is actually a blueprint for the 21st century; which under the cover of environmentalism and scaremongering CAGW, is in fact, just communism resurrected in a new guise. It is clear to see, that with the various political parties producing their election manifestos, the Green Party is actually the “Agenda 21 Global Communist Party”. UKIP on the other hand offers us an escape route; as it is the only party which will repeal the ludicrous, suicidal, 2008 Climate Change Act. That will definitely be a start. Perhaps UKIP should take out a whole-page advert in The Times etc. explaining that Agenda 21 is the overarching plan by unelected bureaucrats in uber-governments (EU, UN) to grasp global control via creeping regulation under the banner of ‘sustainable development’. It should make the clear connection that ‘sustainable development’ will be a regime imposed by dictatorship, not chosen by democracy, and interfere with and control every aspect of our lives. It should also highlight that many governments’ have present and past members in The Club of Rome who are driving this and intimately complicit with it. Actually, agenda21 worse than that… It is about a global dictatorship which is dedicated to reducing the human population to less than 1 billion. Of the remaining 1 billion, the vast majority to be herded into “mega-cities” with access to the countryside vastly restricted. Some others will be allowed to serve the international mega-elite as their servants as the elite use the wilderness as a massive game and hunting reserve. When hitler killed millions he was rightly labelled a monster. These environmentalists want to kill several billions and are considered defenders of the earth?!?!?! I bet Dave and Gideon together with the other 2 twits are ardent followers of agenda 21. This is just the pretext for world governance or as you say a more advanced communism. The Brics pay lip service to it as it means the West de-industrialises itself and they take over. The Chinese are particularly fond of it. The lefties will decry these complaints as a (bogus) conspiracy, but real conspiracies have always been a threat, not to be ignored lightly. If the UN is bankrolled mainly by the US, then it is time to cut off much of the funding, before that happens, would anything useful to civilisation be lost? I imagine this was a follow-on from the 1975 Lima Declaration in which Western governments promised to deindustrialise in order for so-called “developing countries” to raise their share of global industrial production to 25% by year 2000 (see document, p.6, section 28). And of course, that’s why we don’t have any proper jobs now. It’s also worth watching the YT video “agenda 21 for dummies” (https://www.youtube.com/watch?v=TzEEgtOFFlM). The bit about the American “Wildlands Project” is interesting in the context of moving all American people to “smart growth zones” connected by high-speed rail (presumably so they can be herded to plantations for State-designated work). Compare to destroying southern European economies and herding people northwards for jobs – I’ve never heard of any European Wildlands Project, but perhaps that’s how you’d accomplish it: turn everybody into economic migrants and ship them to the UK? But of course, nobody’s trying to force through a highspeed rail project, are they? [In my cynical opinion, LimaDec and Agenda-21 are illusions. Both were about massive alleged frauds to make certain individuals a ton of money. LimaDec: to give BRICs fairer slice of the pie through gov. financial assistance? Well, no – I daresay those in charge of this treaty made some “smart” investments in China and India before all the Western money poured in – and subsequently collected a tidy profit. One of the advantages of being one of the boomer generation is I will not be around when the world is dominated by a few mad individuals. I’m sorry to inform you that you have, like me, already failed to expire in time. The world is already dominated by mad individuals. Thanks, Roger, for bringing attention to UN’s Agenda 21. UN’s Agenda 21 was published about 30 years after the UN was established on 24 Oct 1945. Scientists – puzzling over falsehoods inserted in the foundations of solar and nuclear physics 30 years earlier – recognized that the UN’s Agenda 21 might have guided those decisions. 2. The atomic structure, with electrons orbiting a massive nuclear core is like the solar system structure, of planets orbiting the massive Sun. I.e., Einstein’s equation describes the energy (E) stored as mass (m) in cores of atoms and stars. Sir Fred Hoyle and Professor Paul K. Kuroda helped us understand that global temperature data were altered to hide the solar force that produced, in solar cycle #24, the lowest number of sunspots recorded since 1750. There is still a mystery regarding the roles played by Sir Fred Hoyle and another well known British writer of science fiction – George Orwell – in post-WWII events. Another British writer of science fiction started writing a futuristic novel in 1946 to warn the public a new totalitarian government would appear by “Nineteen Eighty-Four” that would rule the world by deceit. Sir Fred Hoyle was British writer of science fiction #1. George Orwell was British writer of science fiction #2. The unsolved mystery: How did George Orwell know in 1946 that government science was being altered to become a tool of government propaganda to rule the world by 1984? Tentative answer: Perhaps Sir Fred Hoyle used George Orwell to express his concerns about the manipulation of information about the Sun in 1946? So far as the few sane people struggling against all this are concerned, there is a serious problem. Mention Agenda 21 (or the Club of Rome, which takes these “sustainability” concepts further) and the average guy in the street immediately brands you as a swivel-eyed conspiracy theory loon. But, just as hypochondriacs can and do fall ill, some giant conspiracies are precisely that! And the ‘political elite’ who have rushed to nail their colours to the Agenda 21 mast are exactly part of that evil conspiracy. But, with the media either ignoring the issue or (like the BBC / Guardian) actually being an enthusiastic part of it, how to alert people to the problem? Perhaps enrolling Jeremy Clarkson to be a spokesperson about this would alert people to the problem. After all he will soon need a new job and judging by the media hysteria he generates for being a complete idiot on TV he would be just the person to get this message out! Judge threw it out. My £10 seems to have paid off. Clarkson bad mouths most everything (LOL)…BBC mostly and is dead right. Don’t think he could stand a weak Tory but Dave reckons he is a friend? Dunno! Meanwhile outside of our la,la land(s) – Japan announces new coal-fired plants this year is seven. Utilities in Japan are eager to take advantage of coal’s relative cheapness to give them a competitive edge at a time when other countries are seeking to reduce their greenhouse-gas emissions by moving away from a fuel source seen as dirty. For those in UK ..you probably noticed that BBC4 is punching out climate related babble (program) every night. Sure I heard a grape grower the other night saying its always too cold for grapes in Devon…not sure he was supposed to say that. Or was that balance? 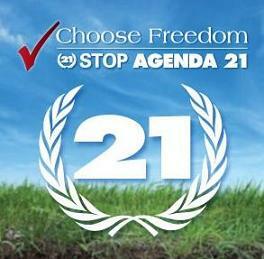 Agenda 21 is the first route to a global government. I cannot think of anything that would be worse. Kill everything so worse than an Ebola outbreak with 50% chance of a cure. Pingback: Weekly Climate and Energy News Roundup #172 | Watts Up With That? Roger, if you want further explanation of the introduction, or the powerpoint presentation itself, contained in the below link, from me directly please feel free to ask by email. I would be quite happy to have face to face discussions as well. I know it’s a lot to take in in one go, I have been in involved in discussions and researches for many, many years now, as Oliver can confirm. btw – Hello Oliver, I hope you are keeping well.